Covering everything from window boxes and balconies and small gardens up to the size of a tennis court, this definitive guide covers design, planting, landscaping, and plant growingSuccessful gardens can be created in the smallest spaces, and this essential guide, shows how to achieve the right garden in the space available. With ideas for maximizing space, design solutions for front gardens and driveways, and recommended plants to grow, this is the ultimate guide for anyone wanting to create a garden on a small plot. It also includes design ideas to match practical needs; A-to-Z profiles of recommended plants; landscaping ideas for all garden shapes; practical uses for balconies and window boxes; and instructions on how to grow vegetables, herbs, and fruit in any small space. 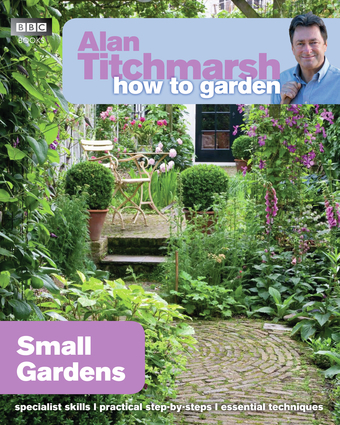 Alan Titchmarsh is the author of more than 40 gardening books, including The Complete How to Be a Gardener, The Gardener's Year, and the volume of memoirs Trowel and Error. He has twice been named Gardening Writer of the Year and in 2004 he received a Lifetime Achievement Award from the Garden Writers' Guild.